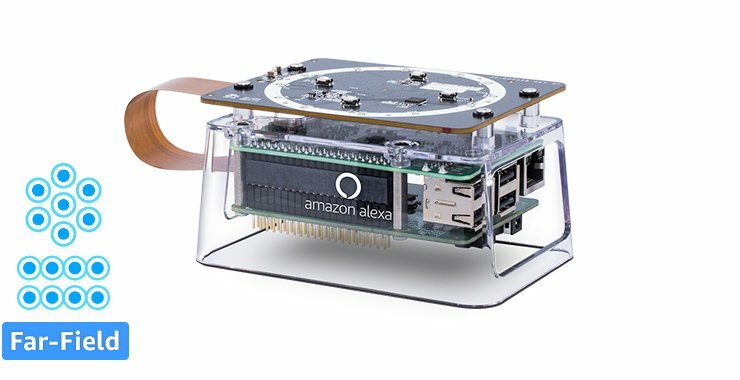 Development Kits for the Alexa Voice Service (AVS) are complete reference solutions for creating products with Alexa built-in. They include chipsets, voice processing technologies, and client software that leverages the AVS APIs to help you easily build commercial-grade, voice-forward products while reducing development costs and accelerating the integration process. Complete, end-to-end system reference designs for creating products with Alexa built-in. 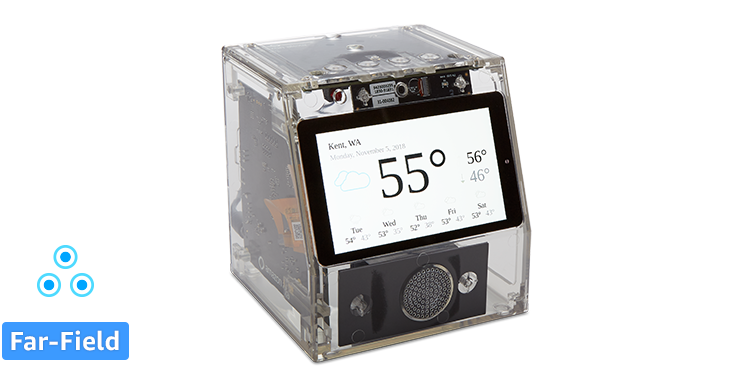 Features a production-ready system reference to create beautiful screen-based products with Alexa built-in. 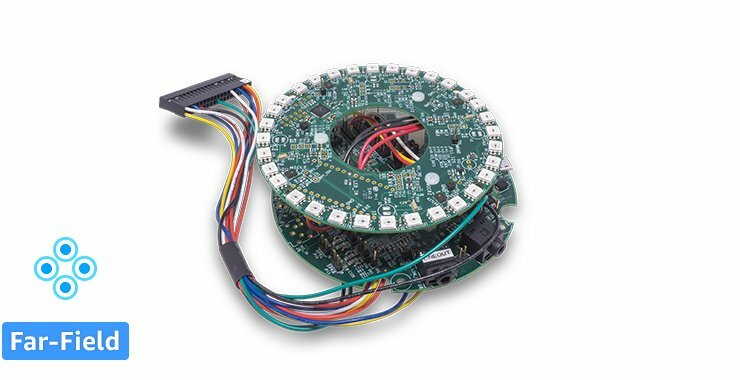 End-to-end Alexa built-in reference solution for low-cost MCU-based AWS IoT Core connected devices running Amazon FreeRTOS. For mesh routers based on Qualcomm’s single-SoC Wi-Fi router platform and Meeami’s ClearVoice audio algorithms. The first solution qualified by Amazon for Bluetooth headsets and with support for the Alexa Mobile Accessory (AMA) protocol. 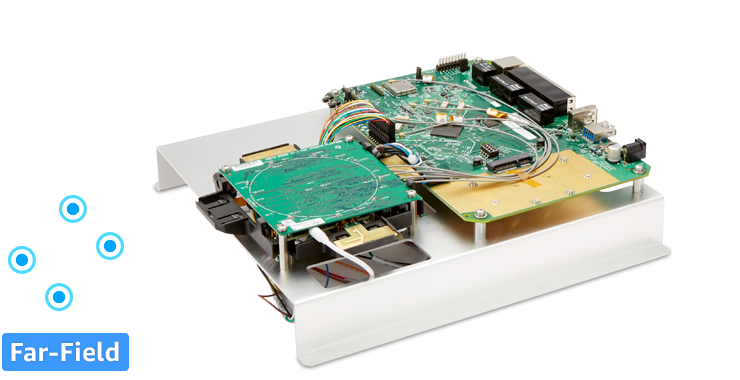 Enables set-top-box (STB) device makers and TV operators to build Alexa into new designs, and retrofit deployed STBs to support Alexa. Pre-integrated Multi-Room Music capabilities, Far-Field voice capture, and with the Amazon Wake Word Engine. 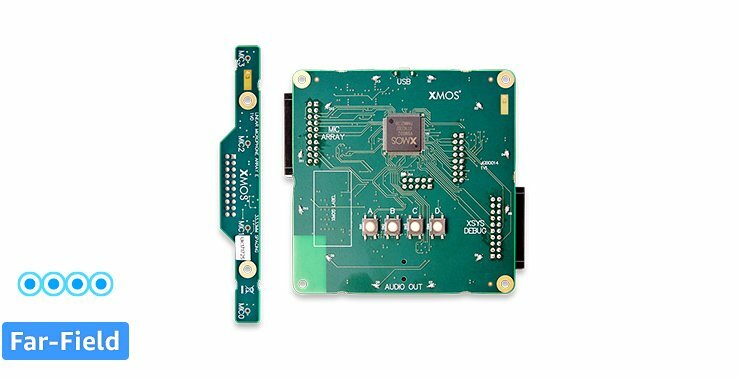 Based on the Qualcomm® Smart Audio Platform, this kit supports development of smart home devices and speakers. Configurable for multiple mic arrays. 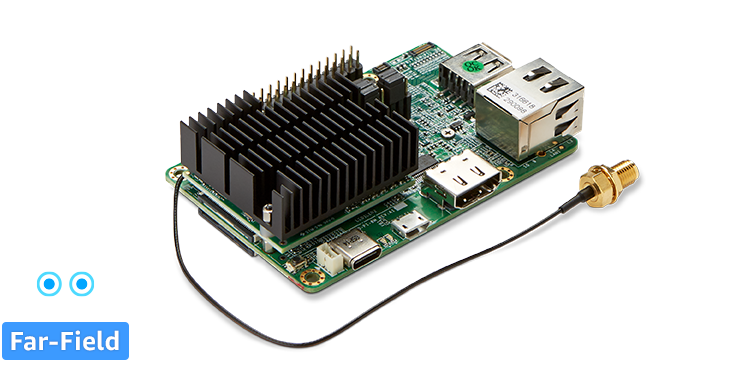 An SoC with performance, low power consumption, and support for displays. 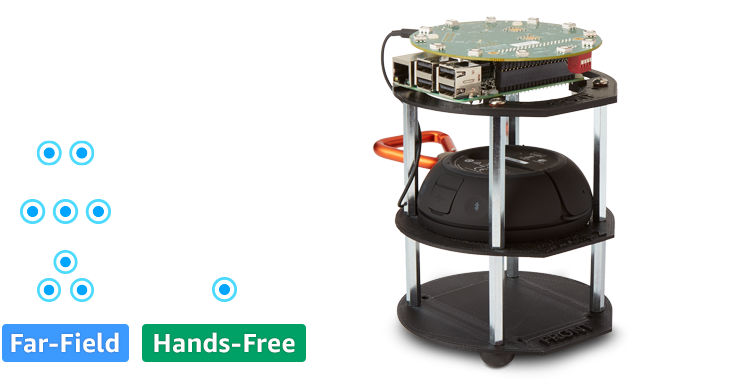 A cost-effective solution for integrating Alexa into devices with displays, and delivers application headroom. 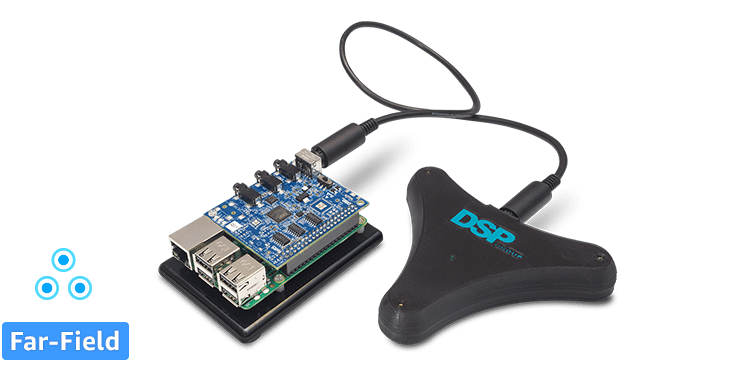 “Far-field in a chip” architecture offers premium-level voice technology on a single DSP. 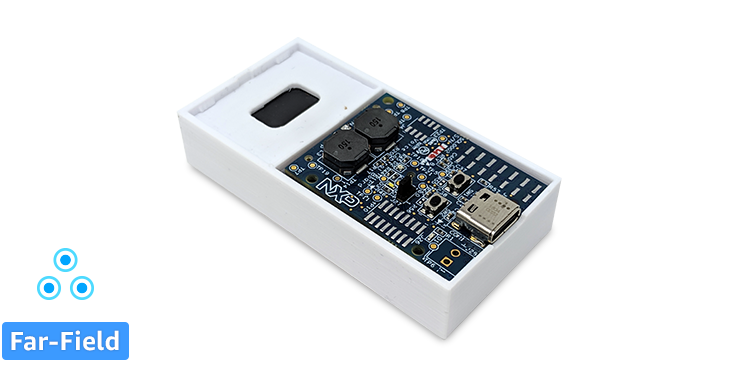 Enables low-power wake-on-voice operation and far-field voice recognition performance with only three mics. Linear mic array combined with full-duplex stereo Acoustic Echo Cancellation, for slim profile and wall-mounted devices. 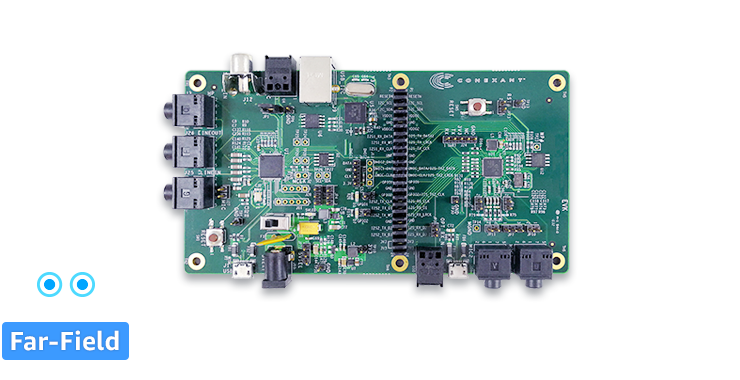 Powered by Intel’s audio algorithms and dual DSP with inference engine, optimized for smart home applications. 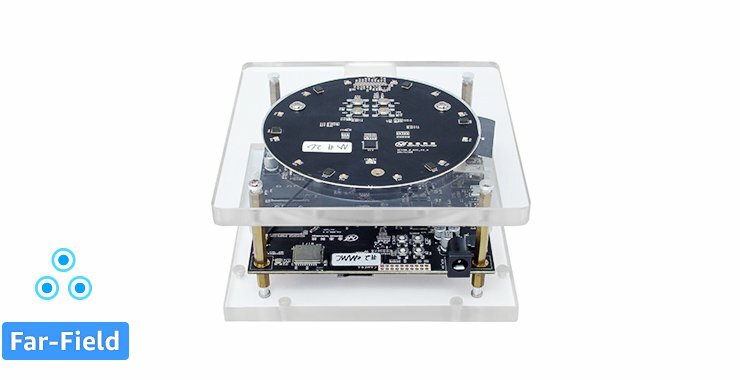 A linear array that brings far-field voice capture to new device types and form factors. Features four mic far-field voice interaction and is designed for omni-directional products with Alexa built-in. For portable speakers and compact audio device; uses Cirrus Logic audio algorithms. 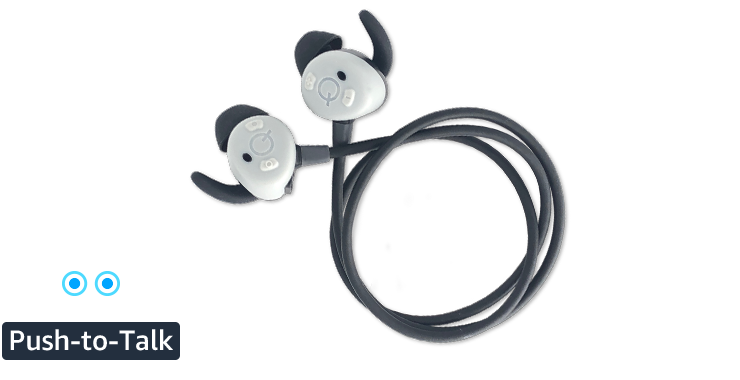 Features include both 180-degree and 360-degree audio pickup, and high-quality stereo acoustic echo cancellation. 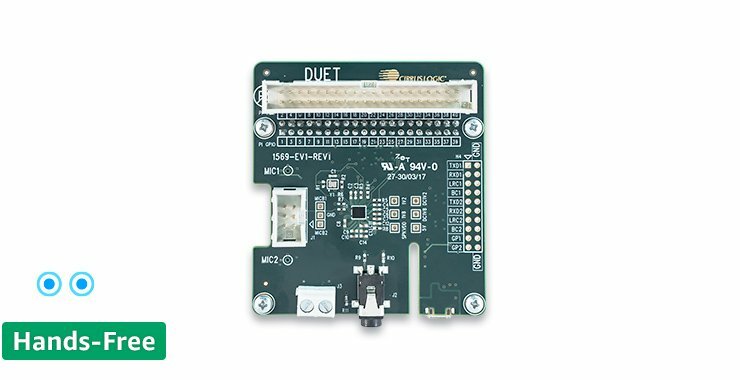 Low-power, far-field voice recognition with customizable microphone array spacing and orientation options. How you want your users to interact with your product determines the number of microphones you select. 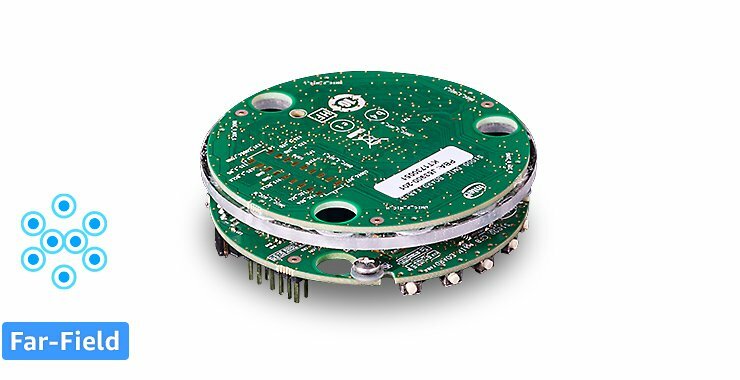 Voice-enabled devices designed for closer, hands-free interaction can use 1 or 2-mic solutions, whereas far-field products with listening ranges from across the room can benefit from a 4 or 7-mic array. Keep in mind that additional mics may take up more physical space and add incremental costs to your product. Your product’s form factor determines the arrangement of microphones. 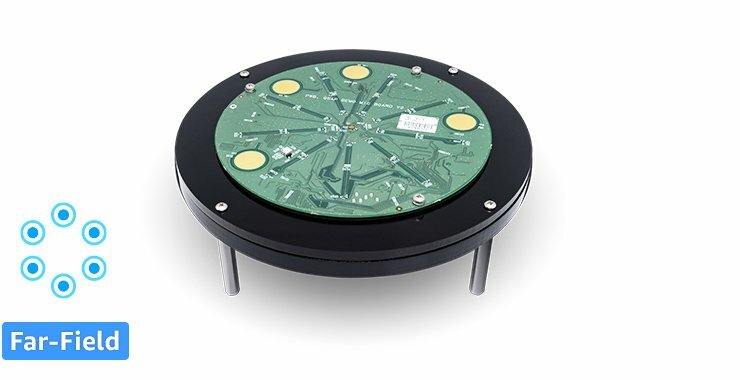 Square or circular arrays in a horizontal plane are better for 360-degree, omni-directional listening often utilized in tabletop products like the Amazon Echo or Echo Dot. Linear arrays are better suited for uni-directional listening or wall-mounted products such as connected light switches and thermostats with Alexa built-in like the ecobee4. Voice processing algorithms enable your device to leverage the full capabilities of the mic array. Noise reduction improves speech recognition in noisy environments, beam forming helps locate the direction of speech, and acoustic echo cancellation allows the user to barge-in even when your device is playing loud music. These algorithms, combined with wake word engines, allow voice-initiated interactions and send clear, processed audio to the cloud.